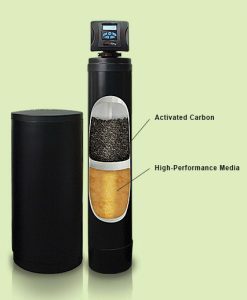 Using the powerful combination of high-performance media with activated carbon together in one tank there’s no need for two systems with the Elite RC. With an environmentally friendly design this is the ideal solution for protecting your household plumbing and improving the taste and odor of city water. Provide your household with the soft, clear, and odor-free water it deserves. For larger and heavy-use households, the CareSoft Elite RC has as a twin system to provide you with high capacity water treatment available when you need it – 24 hours a day, 7 days a week.